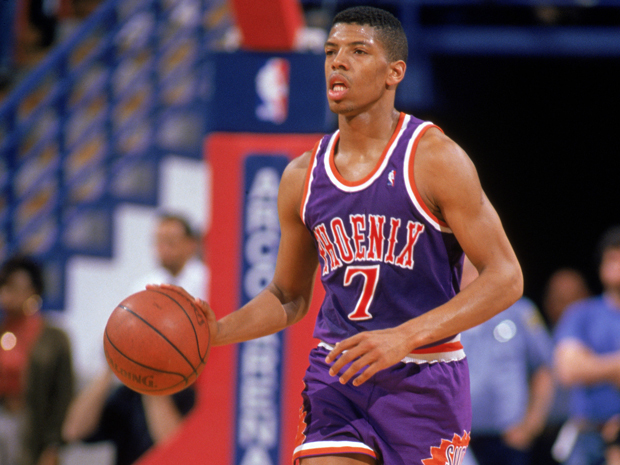 On March 7, 2001 the Phoenix Suns retired the jersey of the immensely popular point guard Kevin Johnson. KJ was one of my favorite players to watch growing up so it’s no mystery that he was a fan favorite in Phoenix. From 1988 to 1997, Johnson averaged 19.8 points and 10.0 assists while shooting just under 50% from the field. Elite numbers in any era.